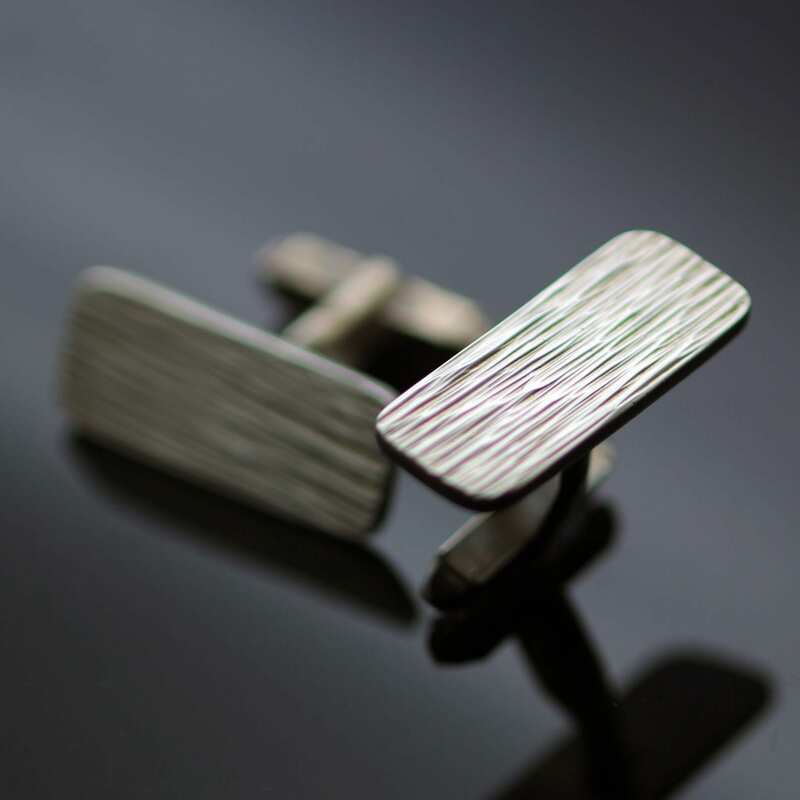 The ‘Wheatgrass’ texture showcased in this stylish, modern pair of mens cufflinks is a unique creation by Julian Stephens. This individual texture is created by a specialist tool which has been modified by Julian to create this exclusive finish to adorn this range of contemporary jewellery and accessories that are perfectly suited for daily wear. 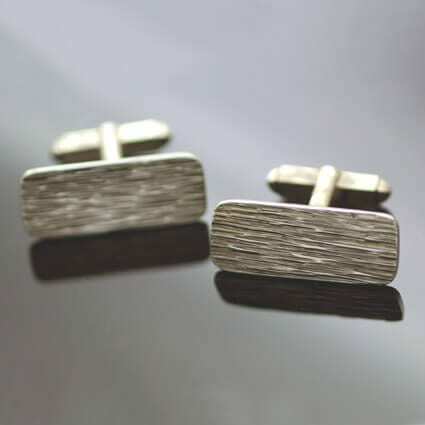 The solid 925 Sterling Silver cufflinks are hand textured in this exclusive ‘Wheatgrass’ pattern and are polished for a glossy, high shine finish. 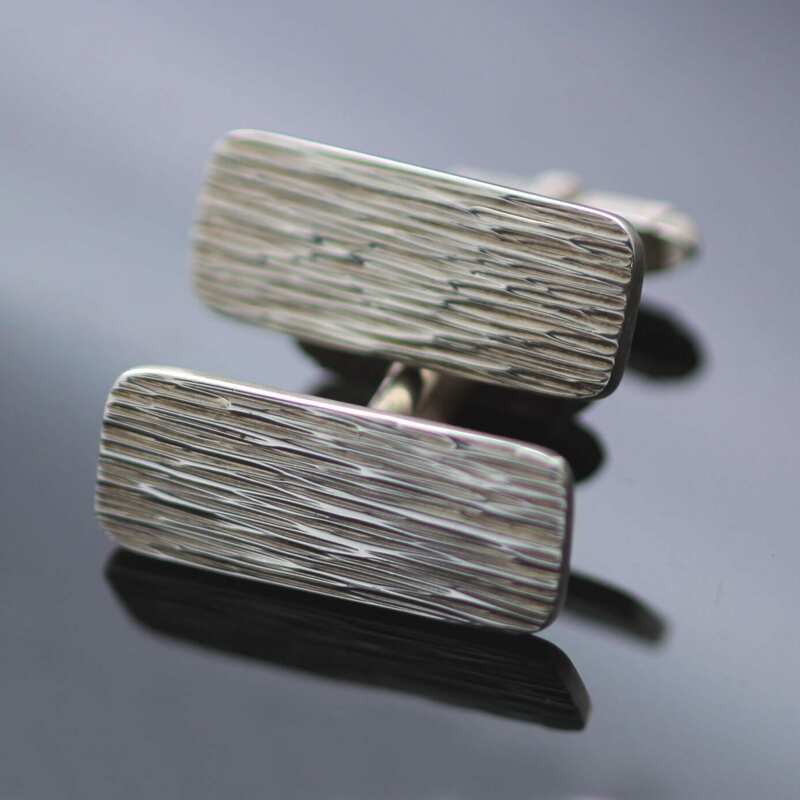 The Silver cufflinks bears Julian Stephens exclusive Maker’s Mark and is fully Hallmarked to indicate its superior construction and the quality of precious metals used to create this piece.